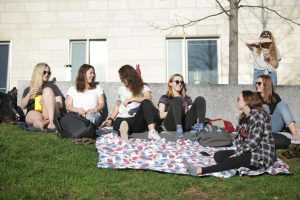 As the Massachusetts hockey team prepares for the second half of its season, the club is surrounded with an air of uncertainty. 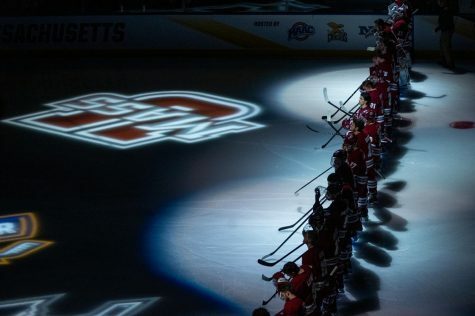 After posting a 4-12 record (including a 1-9 mark in Hockey East play) before their December break, the Minutemen have a lot of questions to answer as they start the second half of their schedule at the Catamount Cup in Burlington, Vermont. 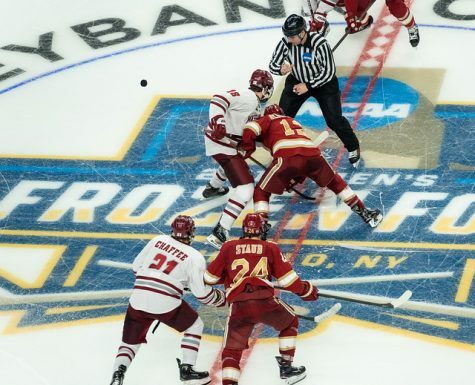 “We’re trying to build toward more consistent efforts where we play all 60 minutes,” UMass coach John Micheletto said. 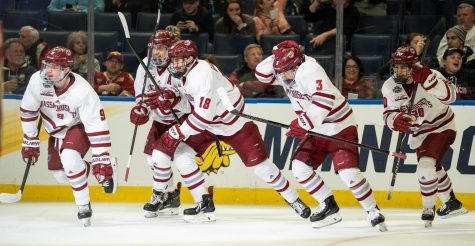 After a first half riddled with blowout losses (8-1 to Boston University, 11-1 to Vermont and 8-3 to Northeastern), UMass hopes to get out to a quick start this time around when it faces Providence at 4 p.m. Sunday afternoon. As the Minutemen limped their way into the winter break with a 1-5 mark in their last six games, the Friars went in streaking. 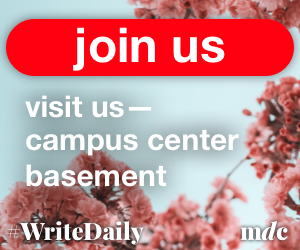 They’ve won five of their past six games (including wins against nationally ranked opponents Boston College and Colgate) and have not lost to UMass since November 2012. Led by top scorer Trevor Mingoia (nine goals, seven assists in 16 games) and standout goaltender Jon Gillies (.938 save percentage), Providence is ranked No. 16 in the country and sits at fourth place in the Hockey East standings. Monday at 4 p.m., the Minutemen will play the second game of the holiday tournament against Air Force. The Falcons (5-10-2, 4-5-1 Atlantic Hockey Association) don’t have the national recognition of a team like Providence, but still have impressive wins on their resume this season, as they’ve beat traditionally strong teams like RIT and Colorado College. UMass enters the weekend led by top scorer Frank Vatrano. After going pointless in the first four games of the season, Vatrano has exploded offensively, scoring nine goals and adding five assists in the last 12 games. 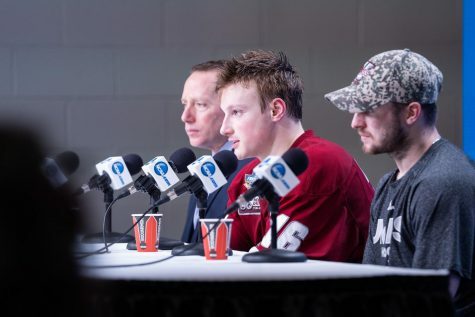 They will also benefit from the presence of Anaheim Ducks second round pick Brandon Montour, who joined the Minutemen just before the break and has played just one game in a UMass jersey. Entering the second half of their schedule, the Minutemen have several issues to address. The first and perhaps most important is in goal. Freshman Henry Dill has gotten the majority of available starts to this point, but has struggled in his first year with UMass. 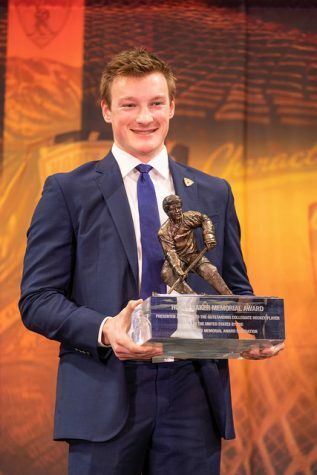 His goals-against average sits at 4.29, and his save percentage has sunk to a lowly .865. Senior Steve Mastalerz has labored through similar struggles. In seven appearances (five starts), Mastalerz has posted even lower numbers, with a whopping goals against average of 5.00 and save percentage of just .848. 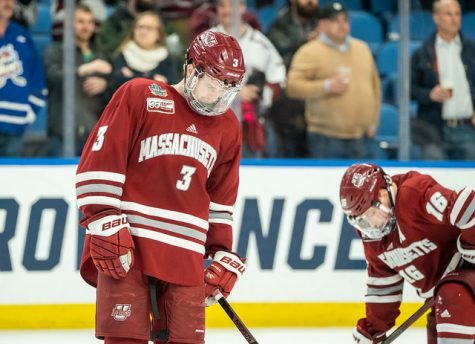 Both goaltenders have been handcuffed by a struggling defense in front of them, but one or both will need to improve their play for UMass to have any hope of success in the second half. Not to be overlooked, though, is just how bad that defense has been. Through 16 games, the Minutemen rank dead last (59th out of 59) in goals against in NCAA Division I. 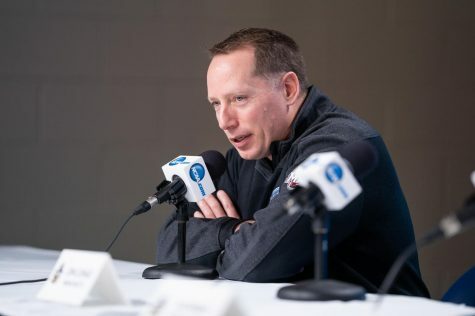 “Obviously, as of late, both our defensive zone and penalty kill have not been up to our standards or of the standards of winning teams in this league,” Micheletto said. In injury news, forward Ray Pigozzi is expected to return to the lineup this weekend after missing several games with an upper body injury. The sophomore ranks fourth on the team with 12 points in just 13 games, and is tied for the team lead with nine assists. “Any time you can add an offensive player back into your lineup, it’s a good thing,” Micheletto said. 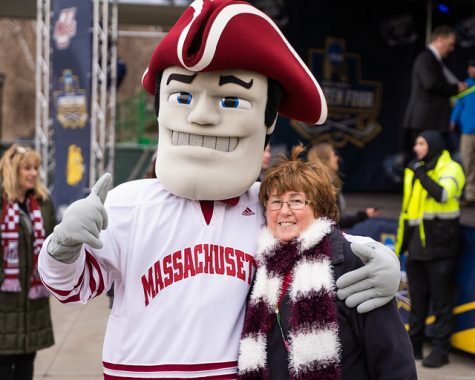 Puck drop between UMass and Providence is set for Sunday at 4 p.m.